A&A Auto Service is a family owned full-service auto repair center dedicated to preventative maintenance and quality repairs. We have been committed to excellence here locally in Tyler, Tx since May of 1998. 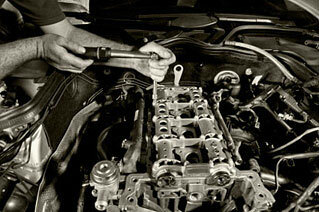 We will gladly service and repair all import or domestic cars, trucks, and SUV's. Come visit us today with complete confidence that your vehicle will be repaired quickly the first time by our ASE Master Certified Technicians.